Global Underground is excited to bring you the sixth instalment in their legendary chilled house and electronica series. The 18 track DJ Mix is masterfully mixed and compiled with an entirely exclusive track listing. 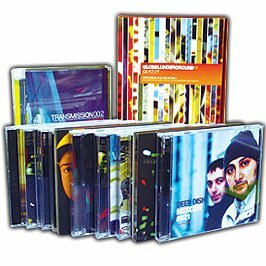 GU commissioned every single track or remix exclusively for this compilation, giving the album a unique style and feel. There is music from existing chilled artists like Still-Life, with their gorgeous and ethereal “Dreams of Forever”, CJ One and their pulsing percussive Deep House exclusive “Pullout”, through to brand new artists like Sol Flare with their sunset anthem, “Silver Moon”. GU scoured the globe to find the finest emerging talent for this compilation, as we know how much this series means. MUUI (Germany), balErik (Sweden) and SLOK (Italy), to name a few, are all fresh, exciting producers and worthy additions to the GU sound. The mix flows beautifully from beginning to end with every track having been re-edited, re-constructed and balanced to fit perfectly on the album. A blissful, spiralling sonic adventure, full of surprises.